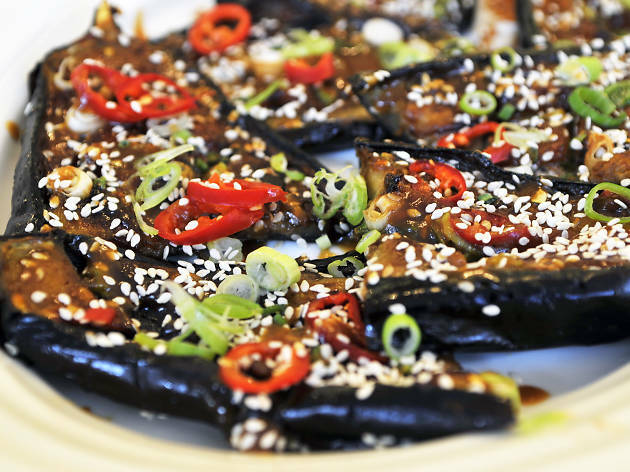 December 2018: We've added a couple of killer new restaurants: High Mood Food, a super buzzy spot in Marylebone for vegans, flexitarians and everyone in between, and CookDaily, which has moved its colourful vegan food from Boxpark in Shoreditch to a brand new location in Hackney. 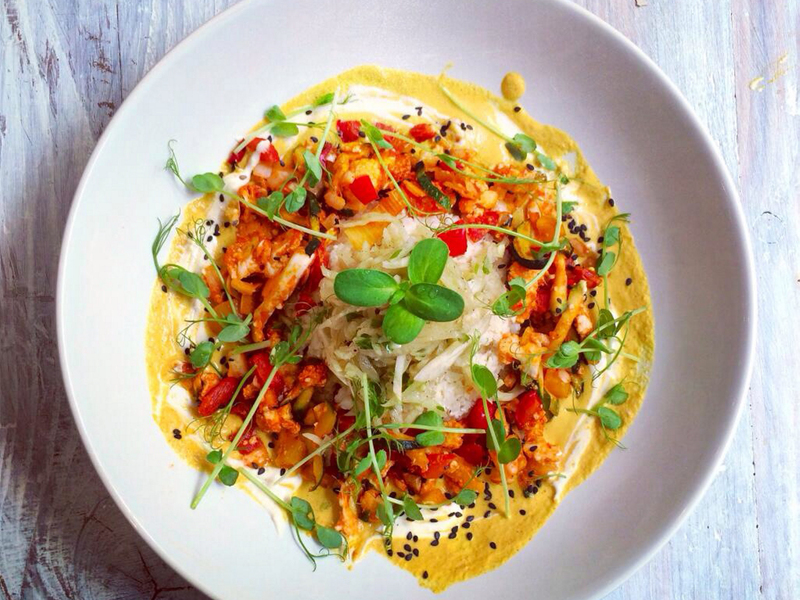 Searching for healthy food in London? You’re in luck. 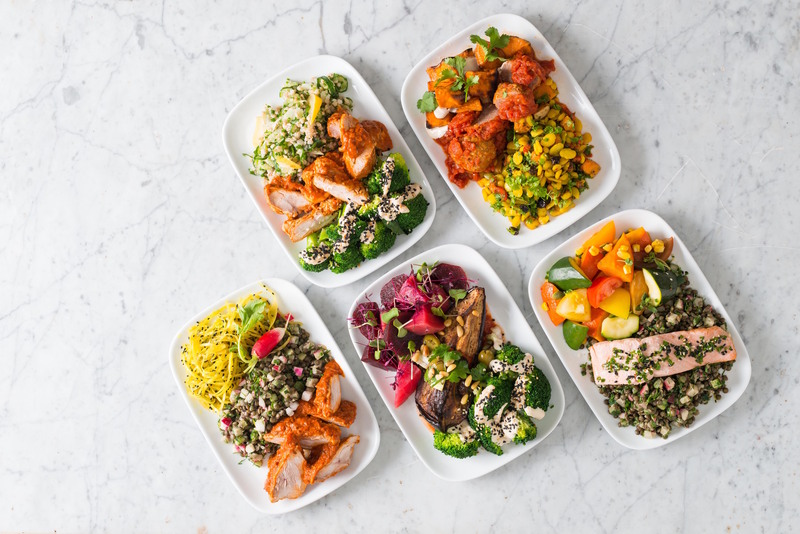 There are loads of protein-packed restaurants across the city catering for those on a calorie-conscious health kick, diet, or detox (as well as those in need of something coeliac-friendly, dairy-free or paleo-style). 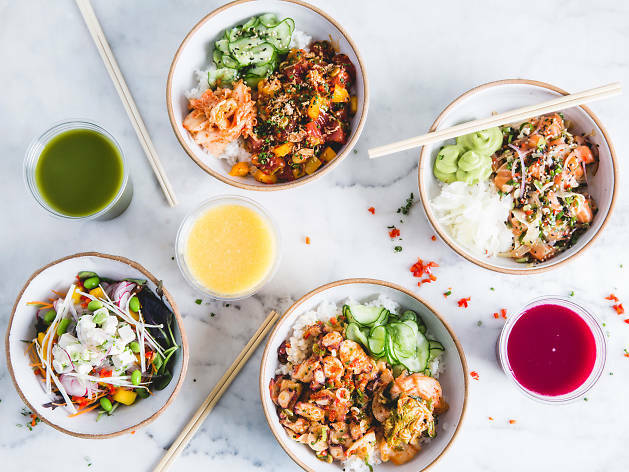 We’ve rounded up the best healthy restaurants in London, including spots for vegetarian and vegan eats, raw food specialists and sushi spots. 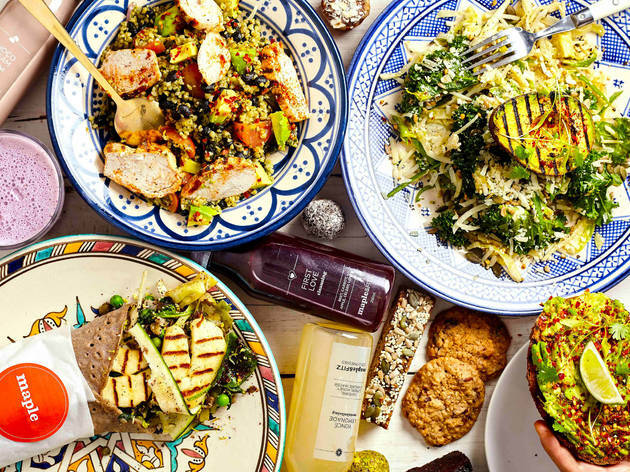 Plus, we've also chucked in ‘regular’ spots that offer healthier dishes, so you don’t have to say goodbye to your gluttonous dining pals altogether. Clean eating can still be little bit dirty. 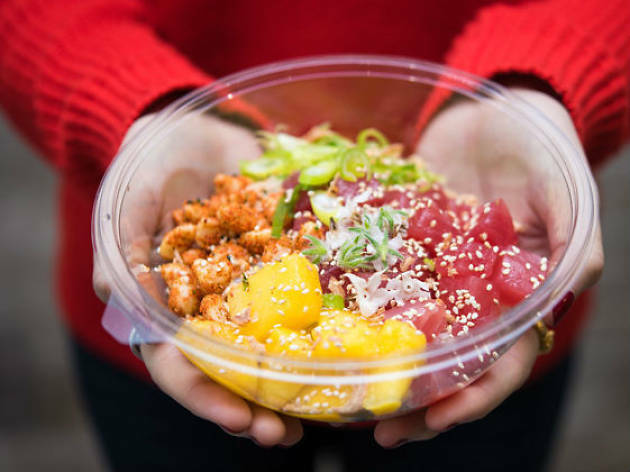 Poké – the Hawaiian health bowl involving sashimi fish, veg and grains – goes some way to explaining how the bare-all hula skirt ever became part of the island’s national dress. 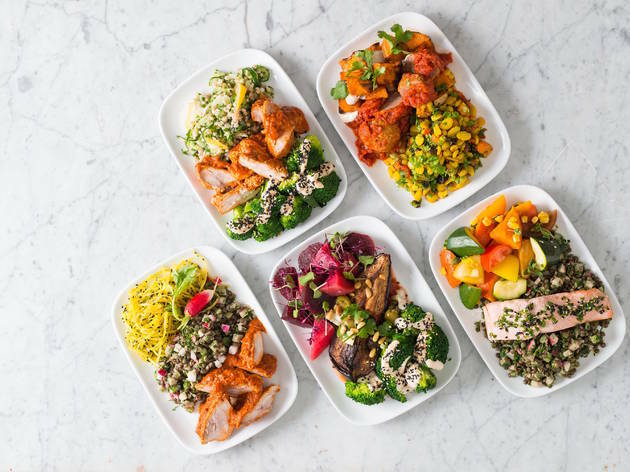 After a stint enjoying this breezy Fitzrovia café’s rice, quinoa and kale bases topped with sustainably sourced raw seafood, vibrant vegetables, nuts and seeds, we imagine you’ll feel similarly body-confident. Veggies can bypass fish (and chicken) for tofu and fungi. 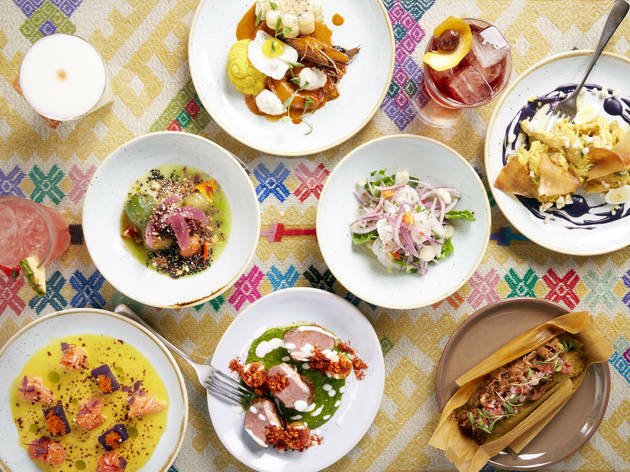 Martin Morales’s Shoreditch follow-up to Ceviche gives free rein to calories but makes up for it in the healthy-eating stakes with more than its fair share of ‘superfoods’ – many native to Peru – plus mountains of gluten-free options. Fill up on quinoa and chia croquetas, zingy ceviches and out-there salads (anyone for fresh seaweed, purple Peruvian potatoes, fermented heritage carrots, pickled red onions and avocado?). 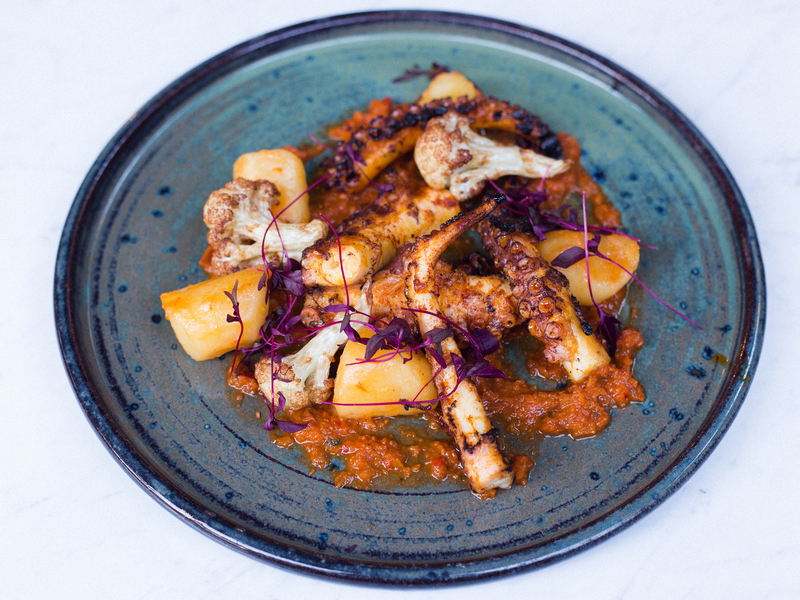 The owners of this gorgeous-looking Clerkenwell joint want us all to ‘make friends with food’ – and we’re certainly sold on the place, its low-key backstreet vibe, pretty plants in pots and cleverly contrived gluten-free cooking. 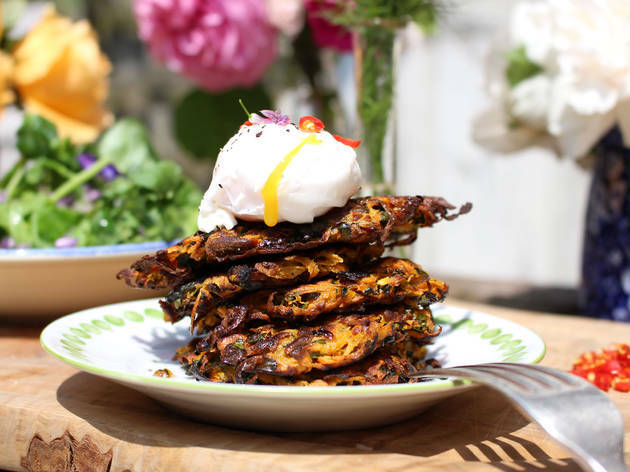 Everything is nutritionally balanced, from the frittata muffins and sweet potato hash to the luscious cakes made with coconut sugar. Drinks are on-message too. Now open in the evenings. 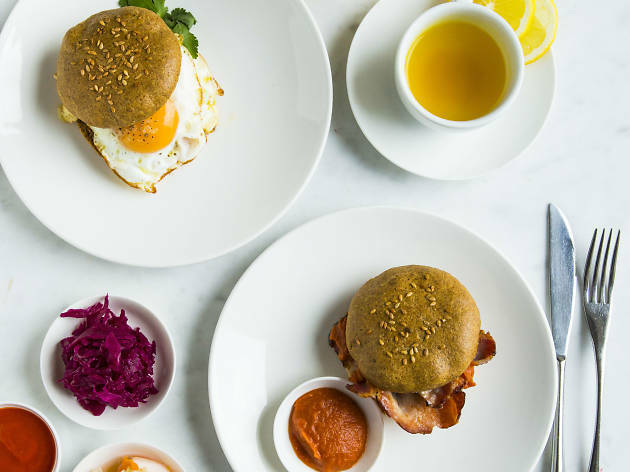 Those outdoorsy Aussies have taught us a thing or two about healthy living over the years, and the bright and breezy Beany Green café sells Londoners the whole package in a colourful modern setting compete with a hip hop soundtrack and a funky heated balcony. Expect to find vegetables loaded into almost everything, from hearty salads and pulse-packed, high-energy ‘power balls’ to broccoli and corn fritters. Go nuts. 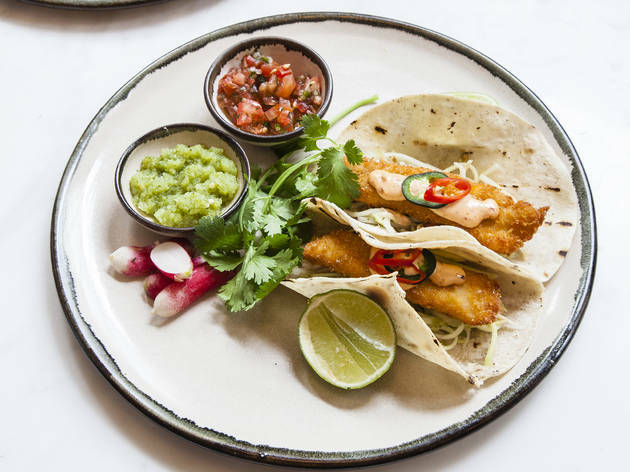 Gordon Ramsay’s glitzy City all-dayer is not only great for families with kids but also handles the gluten-free issue better than most hereabouts. All tastes are happily accommodated. 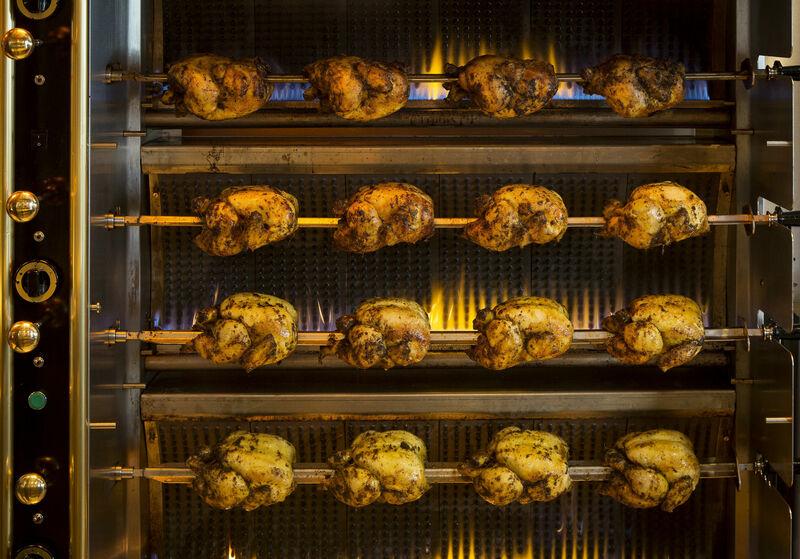 If you want to order light and healthy, home in on the ‘raw bar’, the superfood salads and the big-ticket Josper grills – perhaps go for a dry-aged rib-eye or poussin with sweetcorn chimichurri. Meanwhile, pineapple and kiwi carpaccio solves that problem called dessert. 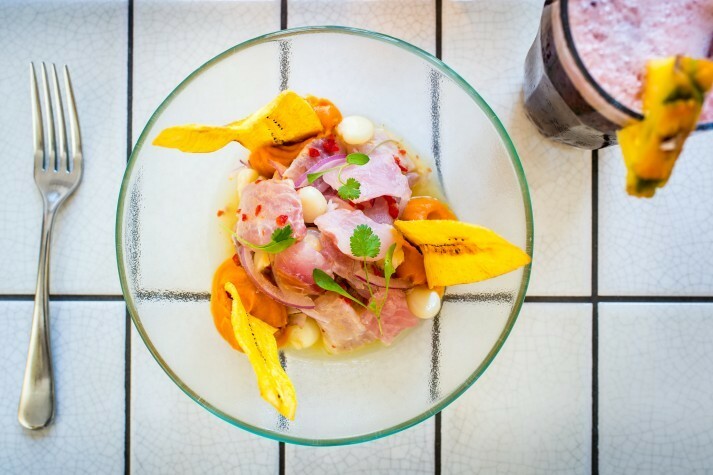 Soho townhouse meets Peruvian den at this venture from the team behind Ceviche. 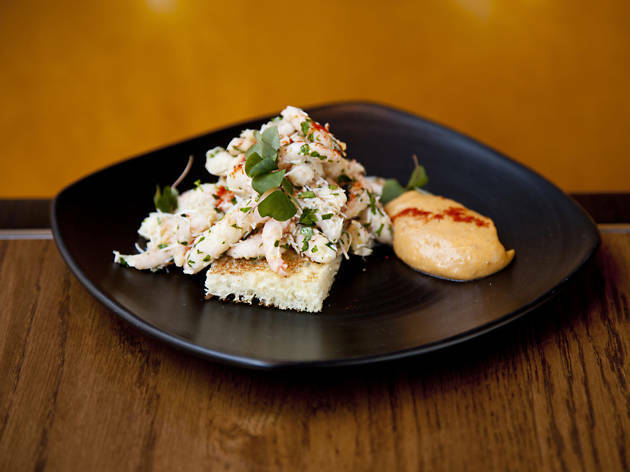 Not surprisingly, the result mixes bits of the original (zingy small plates of cold marinated fish) with bits of big brother Andina – especially when it comes to ‘superfood’ ingredients and gluten-free riffs. Healthy eaters might choose grilled octopus with lucuma purée and chancaca honey or a salad of chilli-pressed melon, black quinoa, feta and watercress, but maybe give the indulgent Andean mess a swerve for afters. 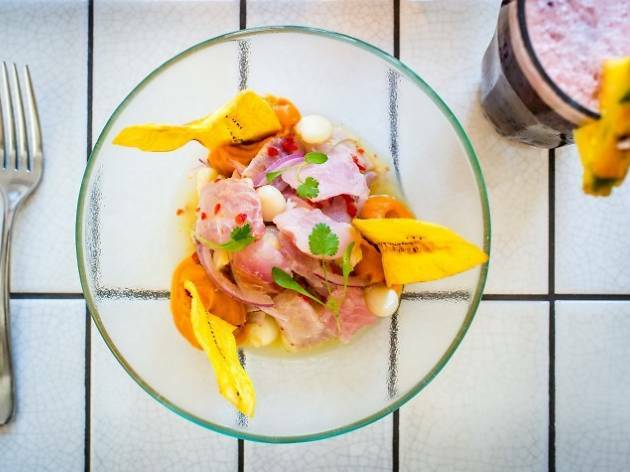 If you stay off the pisco sours and stick to the signature marinated fish, this branch of Soho’s Ceviche easily cuts it as a healthy-eating restaurant without the smug vibe. Choose from zesty, punchy ceviches and a host of unusual salads featuring ingredients ranging from quinoa and charred cauliflower to avocado purée. To drink, check out the funky mocktails or the ‘chicha morada’ (a purple maize, superfood refresher). 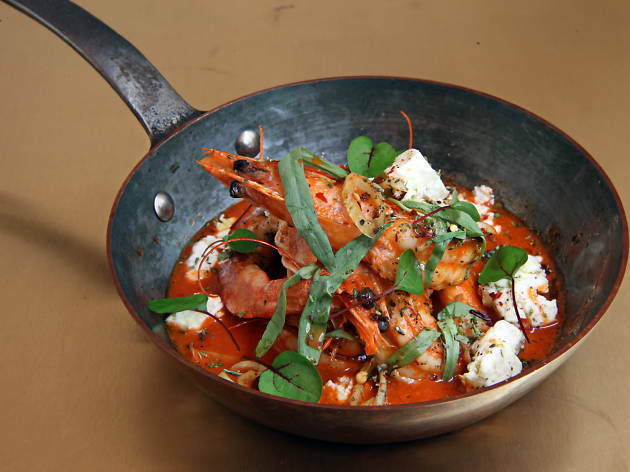 Although more grown up than Pachamama, this seafood-centred sibling still magics up a happening vibe. 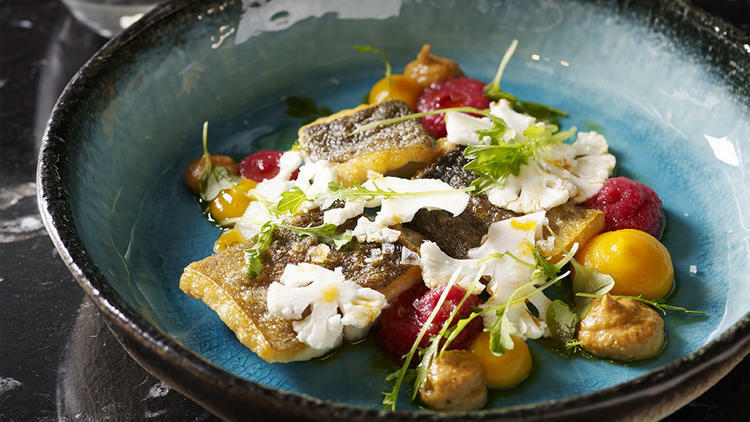 Modish Peruvian small plates play to Chelsea’s carb-avoiding crowd: sea bass ceviche and chargrilled bream with smoked ají panca and horseradish sauce deliver knockout flavours without troubling size-zero waistbands. It hardly matters that desserts don’t quite cut it – no self-respecting calorie-conscious Chelseaite eats pudding anyway. 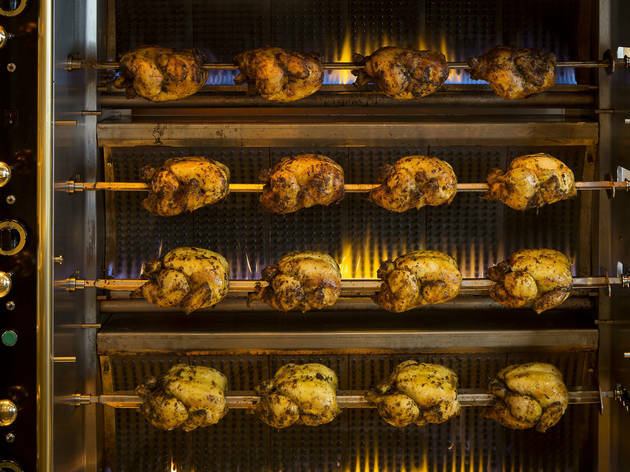 A Nando’s for clean-living Londoners, Cocotte serves up healthy French-reared rotisserie chicken on wooden boards alongside a choice of seven homemade sauces and pretty superfood-packed salads. Sadly, sides of truffled mac ’n’ cheese are out of bounds if you’re sticking rigidly to your regime, but other ideas, such as the gluten-free mango mochi (rice cake), are a deliciously sin-free prospect when it comes to dessert. There’s also a branch in Shoreditch. Cojean is to Paris what Pret is to London: ubiquitous and usually a lunchtime proposition accompanied by a Gallic shrug. 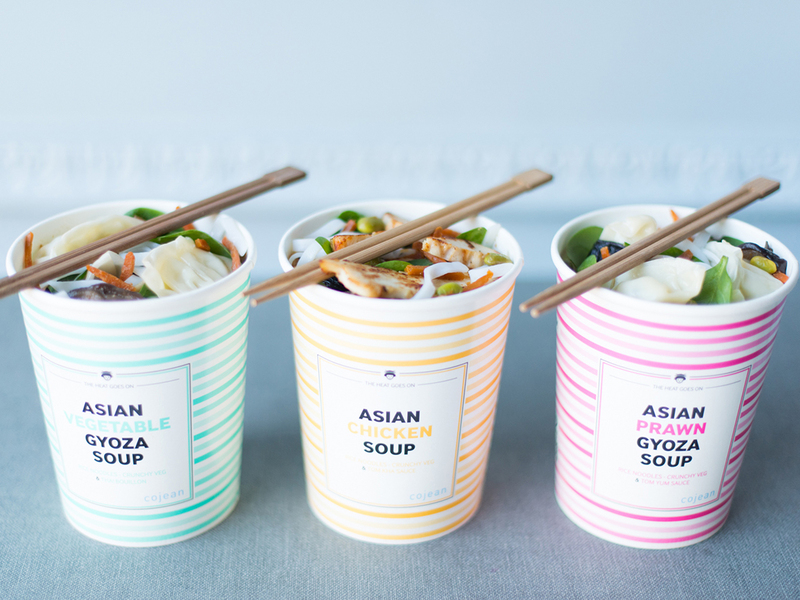 Like Pret, it’s also very good at what it does: health-conscious fast-food including wholegrain salads, wholesome soups and curries, delicious sandwiches and lots of veggie and gluten-free options. Hardly revolutionary, but a solid lunchtime go-to for anyone on a health regime. You can also find Cojean in Mayfair. 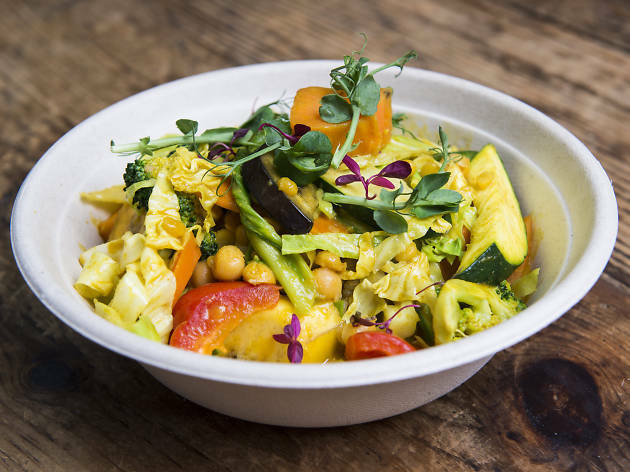 Swapping Shoreditch Boxpark for more capacious sit-down premises in London Fields, CookDaily is now thinking big – although the food is still based around bowls of healthy rainbow goodness crammed full of vegetables, tofu or fake chicken on brown rice. Owner/head chef King Cook has Laotian heritage – so expect lots of South-East Asian flavours including ‘da infamous’ (his mum’s green curry from back in the day). Eco-friendly and totally vegan. Any venue from boundary-breaking cocktail wizard Ryan Chetiyawardana (aka Mr Lyan) is bound to be off-piste, but Hoxton’s Cub is something different. Located above the repurposed Super Lyan bar, this is a full-on ‘theatre of creation’ with bizarrely alluring drinks and foodie thrills for the healthy brigade: white peach, Vesuvio tomato, Brogdale vinegar; fennel heart, ‘happy’ egg yolk, pumpkin seeds; Cyprus potato, blackcurrants, fennel flower. We love Cub’s super-savvy staff and rockin’ house-party vibe too. A self-service veggie buffet that comes up with the goods from breakfast to lights out, Ethos scours the globe for culinary inspiration. 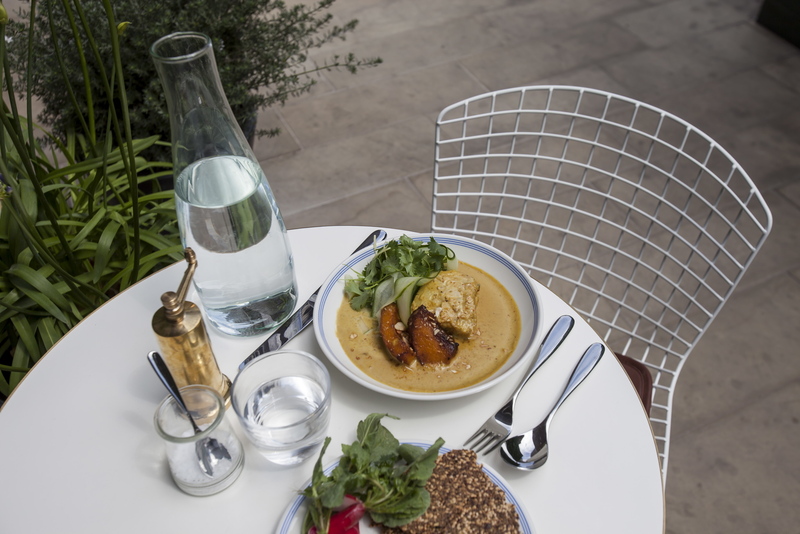 Start the day with a gluten-free egg and spinach protein pot plus a turmeric latte, lunch on Japanese miso-glazed aubergine, seitan sausage casserole or salads exceeding your five-a-day quota, and finish with some raw coconut hearts. Note that you pay for your food by its weight. Owned by well-connected glamour-puss Camilla Al-Fayed (of Harrods fame), Farmacv sells ‘clean indulgence’ to an eager audience of moneyed Notting Hillbillies and aspirational hedge-fund wives. It’s a happy, joyful, ‘free-from’ kind of place – no dairy, no sugars, no additives, no meat – with lots of plant-based goodies ranging from ‘clean curries’ to macro ‘earth bowls’. 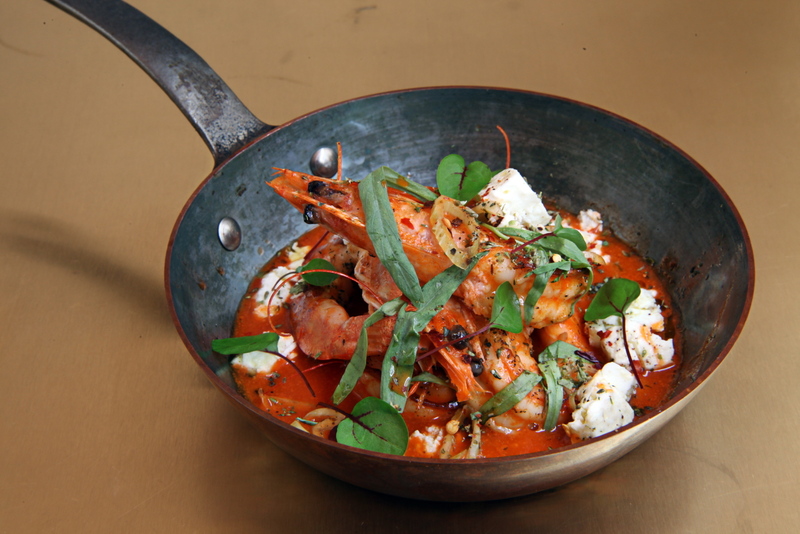 Even the most virtuous dishes taste luxurious, especially when eaten in such chic surroundings. Don’t expect strawberries in December at Farmstand – a clean-lined minimalist diner inspired by the namesake roadside produce stalls of America’s Midwest. 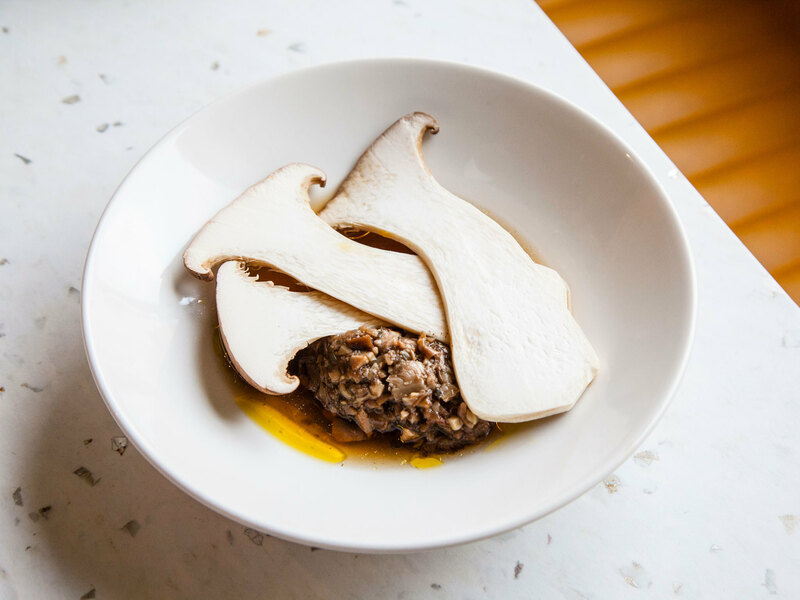 Unrefined, GM-free, sustainable and seasonal are its watchwords, and the food’s also healthy without ramming the ethos down people’s throats. 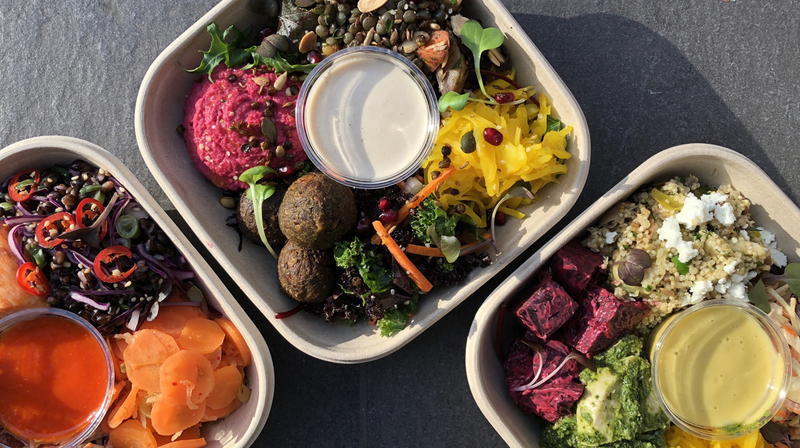 Colourful salad boxes and trays are the big sellers, supported by liquid assets including cold-pressed juices, gluten-free lager and filtered water. There are takeaways and online deliveries too. Bill Granger has the youthful looks and other-worldly serenity of a cult leader – a great advert for his chain of sunny-side-up all-day restaurants. 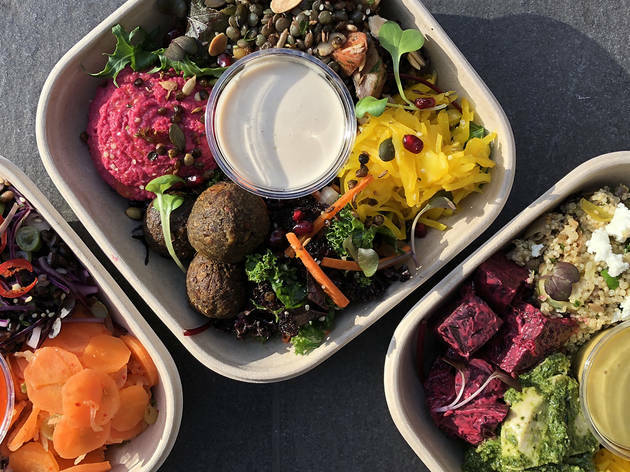 Like its siblings, the goodness-packed line-up at this branch has a whole section devoted to ‘bowls and grains’, plus some really inventive salads and BBQ – there’s even a dedicated ‘allergy menu’ flagging up everything from gluten to sulphur. 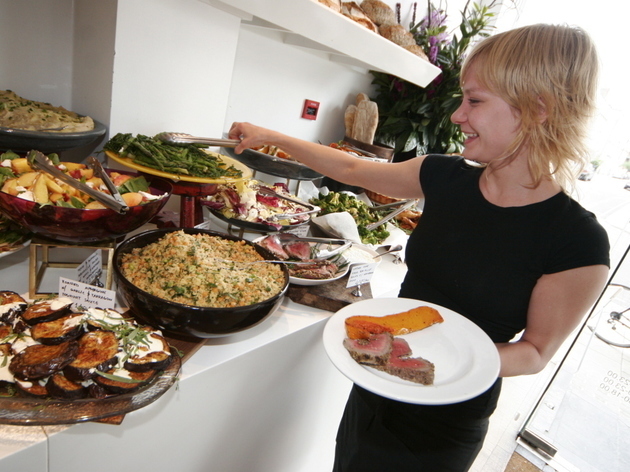 Granger is also known for giving good brunch – healthy, of course. These spiralising sisters need no introduction, and their first ‘clean’ café – a chic, sleek vision in brushed gold, blond wood and herb-green upholstery – is bang on-trend. It’s also a snug fit for Selfridge’s Body Studio. 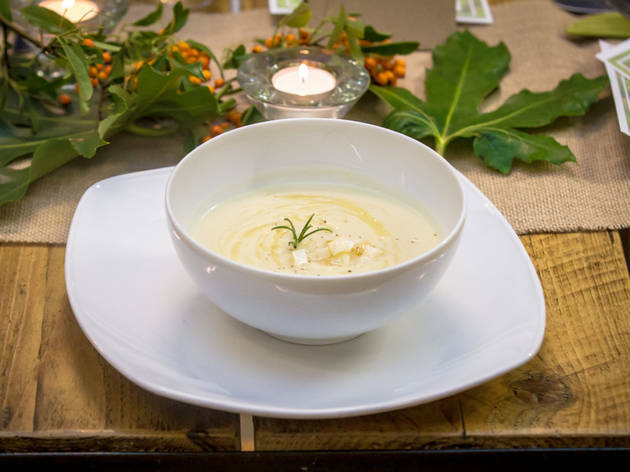 Buy into the H&H brand via organic gluten-free dishes without refined sugars or hydrogenated fats – think stews made with their famous bone-broth base, a ‘spag bol’ involving ‘courgetti’ noodles, and luxurious ‘choco-coco’ smoothies. A pure-food haunt for vegans, flexitarians and everyone in between, High Mood infuses all its dishes with beneficial bacteria in the shape of gut-friendly fermented foods. The menu is stuffed with overtly healthy possibilities, but the kitchen isn’t afraid of meat and dairy (they even do a bone broth!). Trust us – HMF’s laid-back vibe, vibrant interiors and bubbly staff will put you on a self-consciously virtuous high. Venue says Double loyalty stamps on weekends. 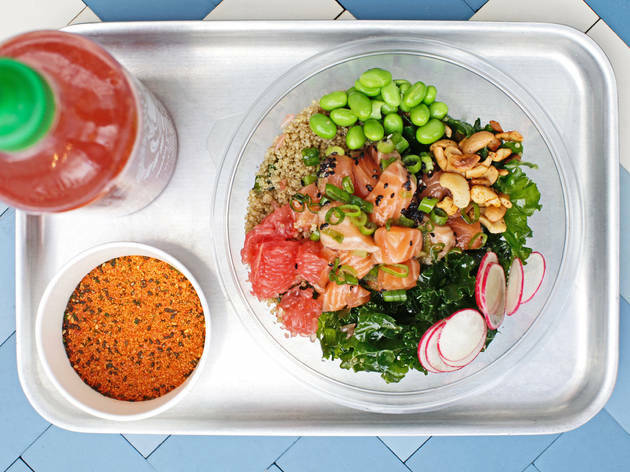 A longboard outside the door points up the breezy surfing vibe at this addition to the surging poké roadshow – an airy spot with a clean Asiatic look and a menu of Hawaiian-style raw fish salad bowls. Choose one of the ready-mades or build your own combo from the colourful pick ’n’ mix assembly line. Seating is limited, but Honi is just fine for a grab-and-go lunch or an early-evening refresher. Try the branch in Aldgate too. 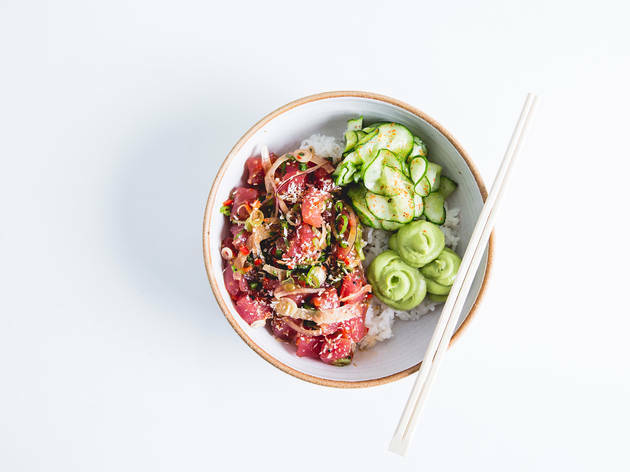 In case you’ve been out of touch, poké is an on-trend alternative to high-carb sandwiches and expense-account sushi in the shape of virtuously healthy Hawaiian-inspired raw fish salad bowls. The Island chain is one of the front-runners, offering a build-your-own conveyor-belt system in a tiny interior that marries a South Pacific beach-shack vibe with a heavy R&B soundtrack. Japanese, vegan, and organic? What’s not to love – and, rest assured, we do love this cool little miracle near King’s Cross station. 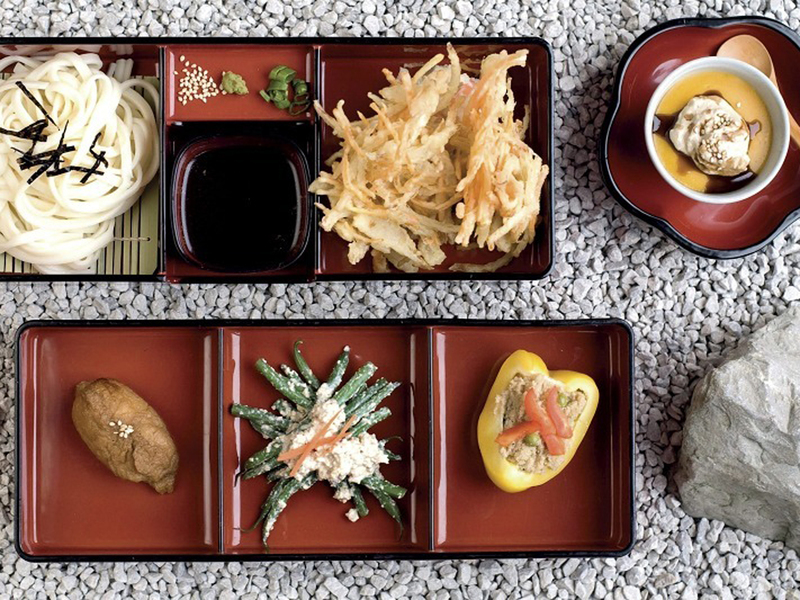 Only the slurping of noodles disturbs the Zen-like tranquillity, as punters dip into a virtuously healthy menu that makes the most of a few key ingredients (expects lots of tofu and seaweed). Laidback staff go with the flow, while zealous foodie workshops, art exhibitions and live music make Itadaki even more lovable. 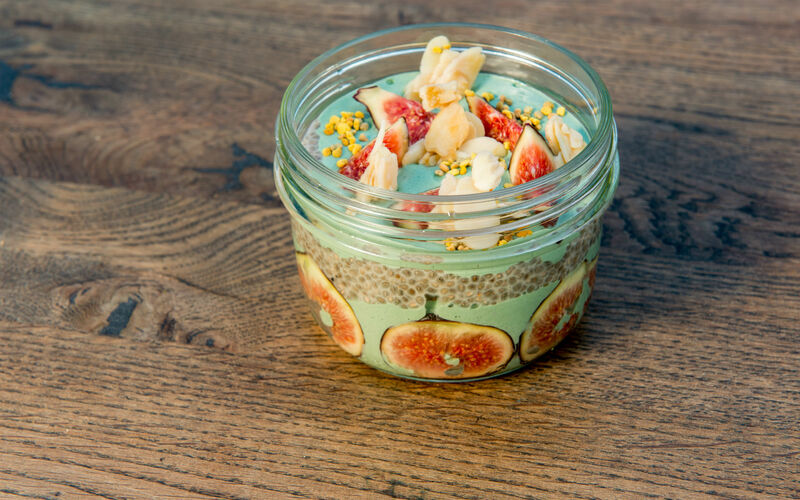 ‘Eat No Evil’ is the mantra behind this homely yet très tasteful ‘clean food’ café near Hampstead Heath, which offers an all-day menu of vitamin-packed smoothies, energy-giving breakfast bowls and colourful layered salads in jars – plus vegan cakes engineered to pass for more-or-less healthy. 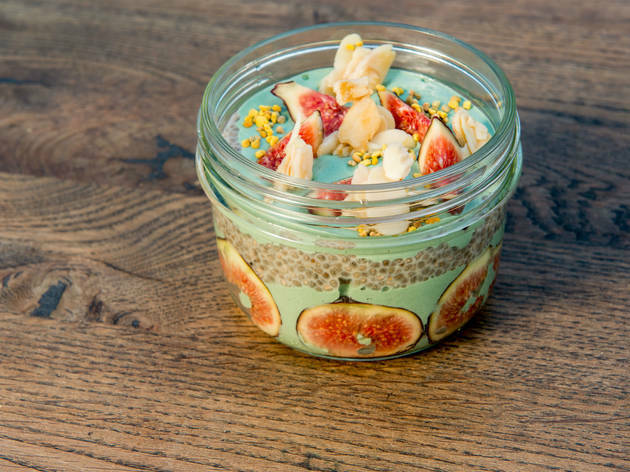 Signature serves include cacao-chia pudding with whipped coconut cream and a healthier version of challah french toast that will make you forget you’re dieting. LLS also peddles its healthy wares in Waterloo. Venue says Time Out's Love London Award Winner! 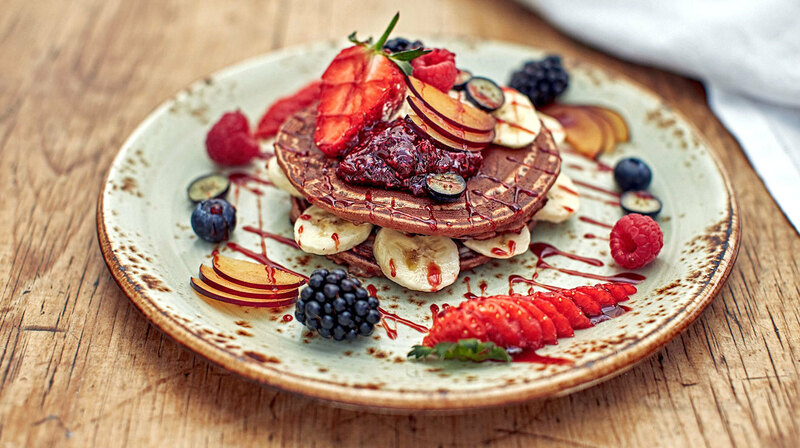 A health-focused cafe with an easy going attitude to food and drink. Just eat real food! 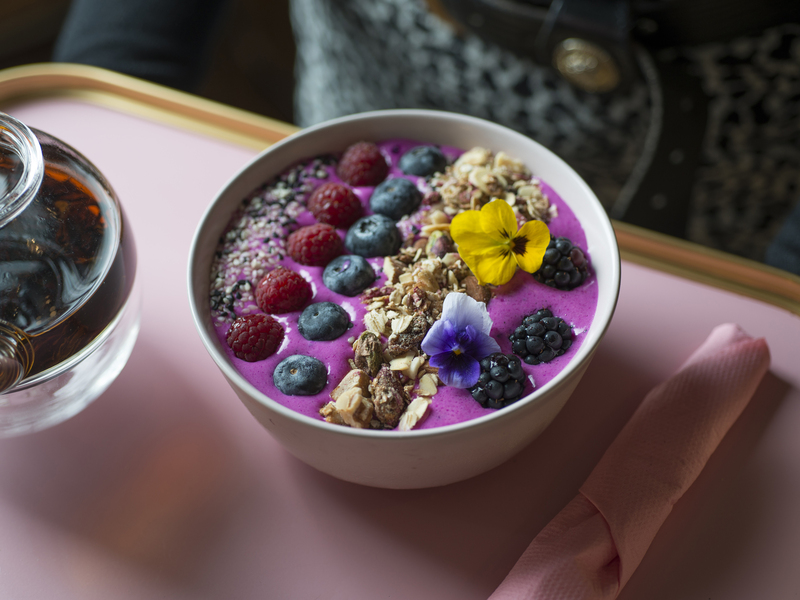 Lu(cy) and Ma(ria) – the mother-and-daughter team behind this pretty hotel café – preach ‘healthy eating made easy’, which means no hidden surprises and no dodgy labelling. 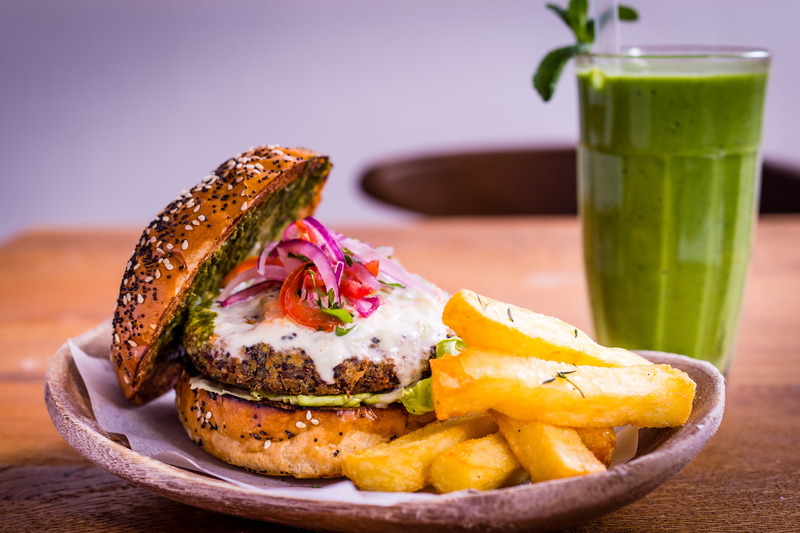 They’ve removed red meat, dairy and refined sugars from their dishes, so diners don’t have to consciously avoid them – most of the menu can be customised to gluten-free, vegetarian or vegan diets, too. Also check the fridge for Lu-Ma’s cold-pressed juices. A slender sunshine strip of a restaurant promoting guilt-free ‘clean eating’ within the swanky surrounds of The Ned hotel/club complex, Malibu Kitchen feels like a slice of California in the City. 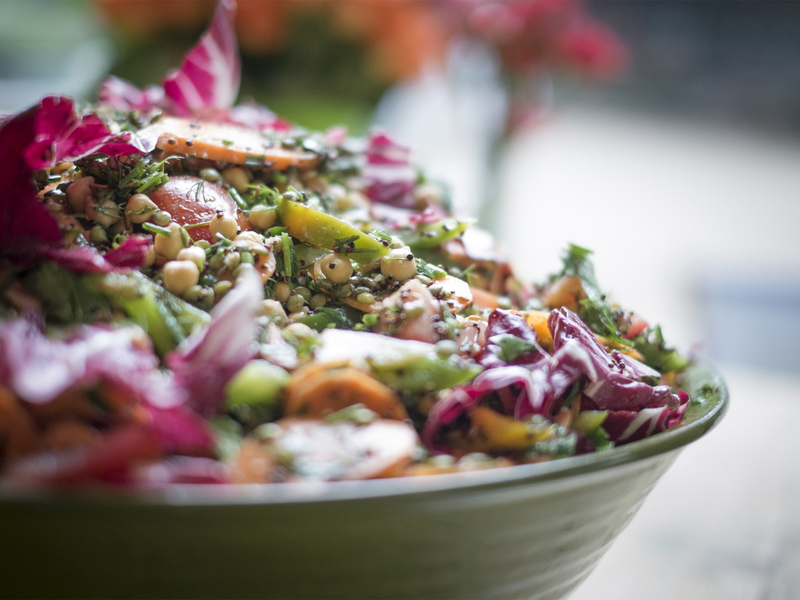 The menu favours veggie and vegan over meat and fish – although there’s something for everyone, including fans of raw food. Vegetable and mango rolls with spicy nuts, poké bowls and zesty salads all fit the bill. For a full-on LA trip, wash it down with some lip-smacking green juice. ‘Clean eating’ feels like fun at this sibling of Maple & Fitz. Order downstairs, then take your lunch box upstairs to a blond-wood dining area dotted with fairy lights. 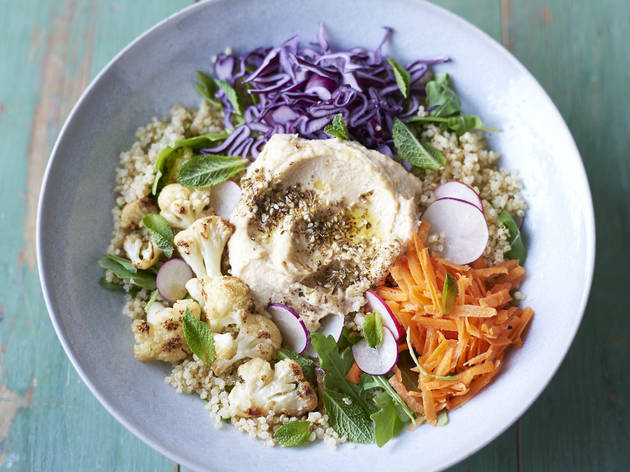 Vegans should go topping-free (or plump for tofu), which allows more room for the nourishing, healthy salads – our faves include ‘Purple Haze’ (pickled purple cabbage, rice and roasted pumpkin) and a mix of sweet potato, quinoa, kale, mushrooms and sun-dried tomatoes. 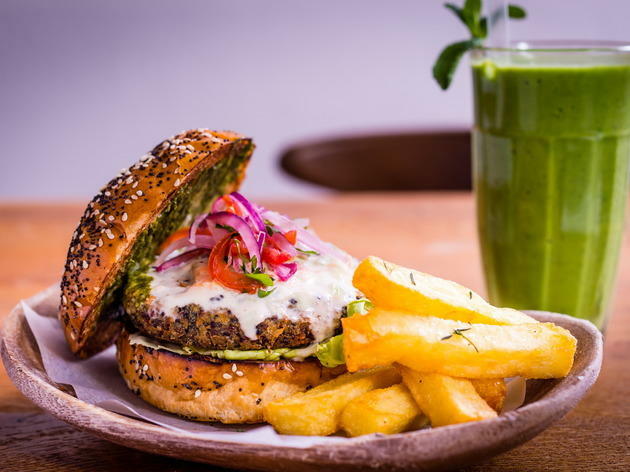 Everything is gluten-free at this Peruvian-Japanese bar and dining room – a clubby venue where standards are Machu Picchu high and much of the food has a healthy slant. 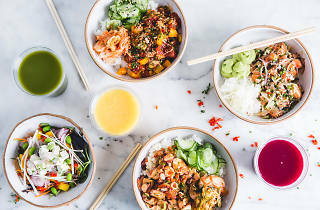 Lean contenders from the regular menu include a sushi ‘power bowl’, ceviche and sizzling offerings courtesy of the grill. 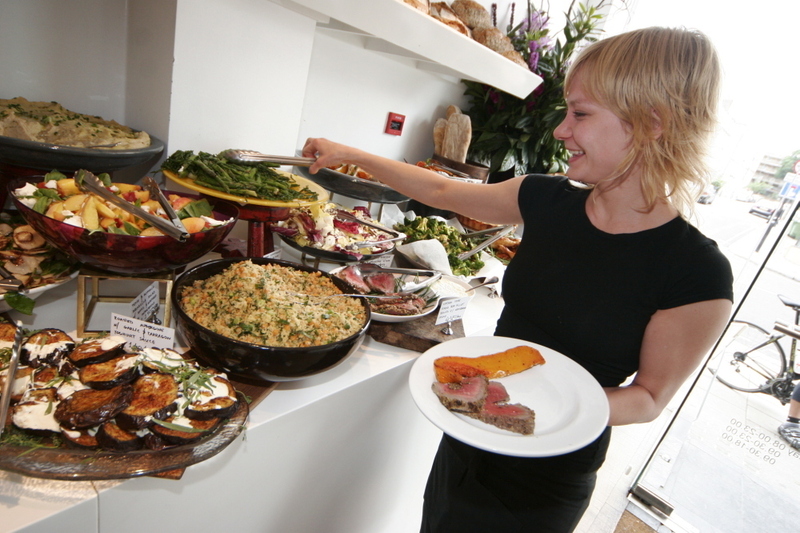 Brunch also offers some healthy pickings, although the ‘bottomless bubbles’ may knock you off track. This white-walled homage to flavour is inherently healthy, firstly because founder Yotam Ottolenghi is obsessed with vegetables and grains, and secondly because the sharing plates are so small you’ll struggle to overeat. However, every mouthful of Middle Eastern/Asian fusion food is worth it. 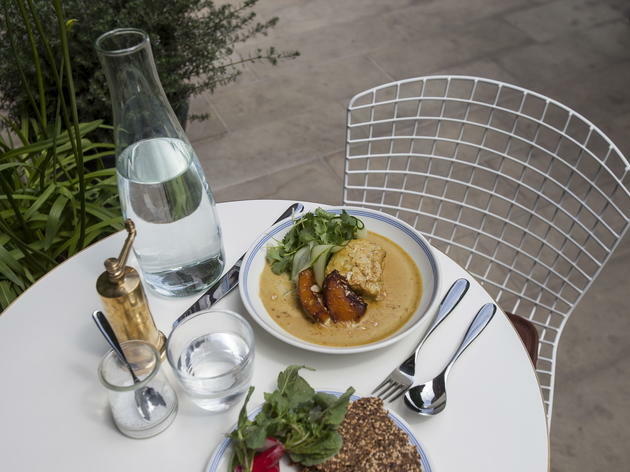 Nopi isn’t the greatest bargain in town, so try branches of Yotam’s Ottolenghi café chain for slightly cheaper lunch deals. Even if you’ve never heard of Yotam Ottolenghi, you can’t pass the flagship branch of his café-deli empire without stopping to admire the sight. Fronting the long all-white dining room is a huge window display, while each dish is a masterclass of eclectic flavours and textures. Everything looks so naturally healthy – from the jazzy salads to cooked dishes such as goat kofta with tahini and spring onion salsa. Downsides? Small portions and a not-so-small bill. 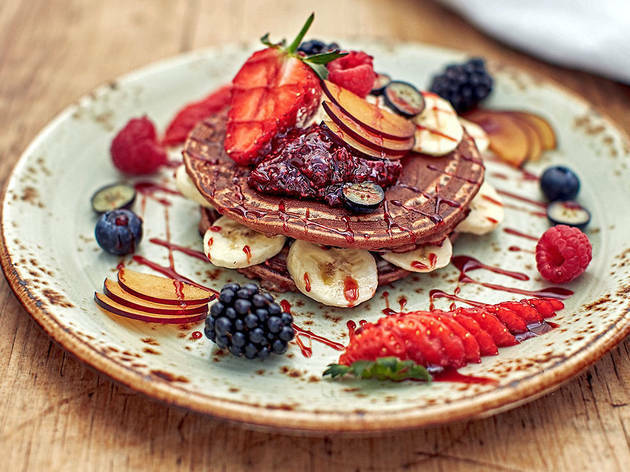 With Oreo-laced, sea-salted caramel brownies weighing down its counter, Hackney’s super-cute, pastel-tastic and plant-filled Palm Vaults café might not be the most obvious pick among London’s healthy destinations. However, those in the know order cashew-milk mochas, turmeric-topped avocado smashed on to gluten-free toast with snippets of vegan ‘bacon’, and matcha chia pots scattered with fresh berries as diet-regime comfort. Note: no laptops, please. A bright, clean jewel of an eatery that’s true to the feel-good ethos of hygge, this Scandi café serves up food that sings of rude health and nutritional cred. 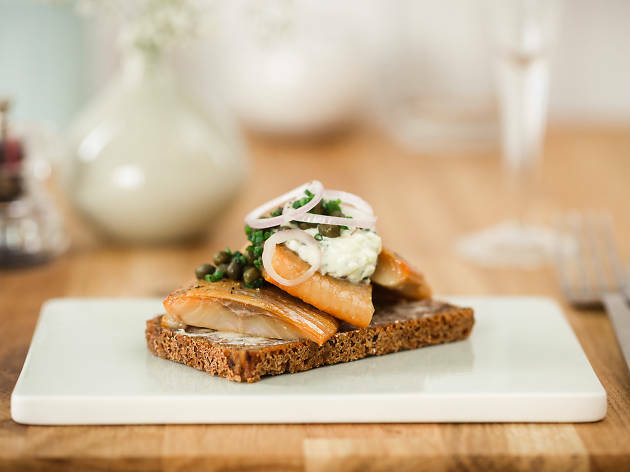 Naturally vivacious options abound, especially at lunchtime: try a selection of smørrebrød (open sandwiches topped with smoked fish and suchlike) or plump for a Nordic caesar salad, washed down with an ‘immunity smoothie’ or a glass of antioxidant-rich carbonated birch water. 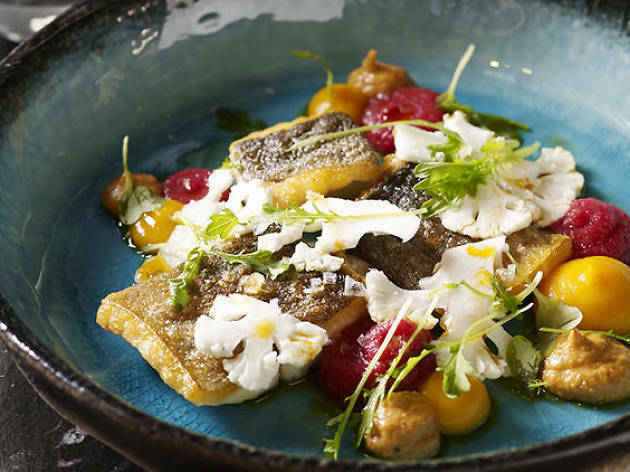 Venue says SNAPS + RYE has been voted one of London's Top 100 Restaurants for four years in a row! Given the rodent-themed interiors, indoor trees and bird-house cutlery holders, you might be tempted to go nuts at Squirrel – and there are plenty of opportunities to indulge your inner muncher at this cosy spot. 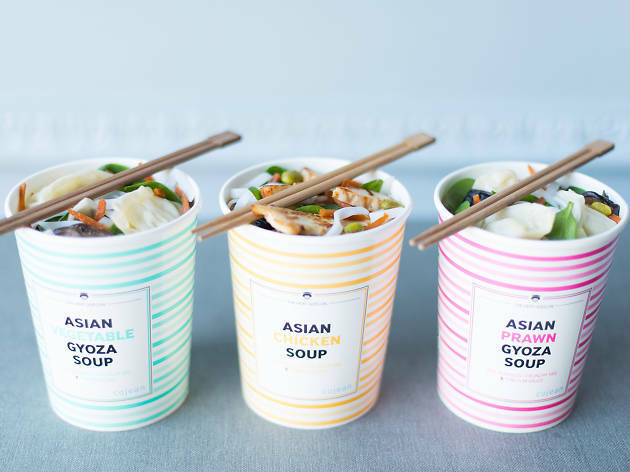 We like the smoked tofu and the various themed bowls (including a zesty guac ’n’ roll riff), and it would be good to dip into the ‘drinking well’ for unlimited green tea and infused water sometime.